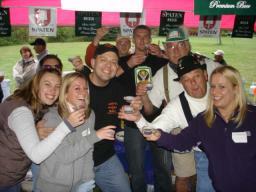 George and Fritz toast some Jagermeister with their friends at the Tri Valley Ski Club Oktoberfest on October 13, 2007 in Chittenango, NY. 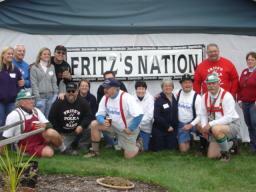 Fritz and George are pictured here David Halsey Jr. on October 13th in Chittenango, NY. 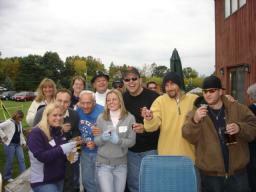 The guys in FPB are shown here with some FPB Fan Club Members and some new friends as well, outside the party tent in Chittenango, NY on October 13, 2007. 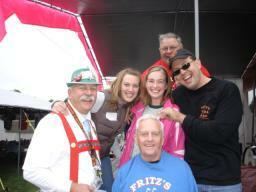 Tom, Fred, and Fritz are pictured here with FPB Fan Club Member, Mark Sutter and his daughters on October 13, 2007 at the Tri Valley Ski Club Oktoberfest. 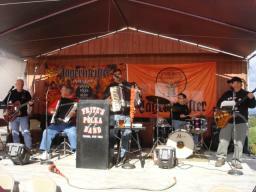 Fritz, George, Tom, and Gabe are pictured here tearing through a tune on October 13th in Chittenango, NY. 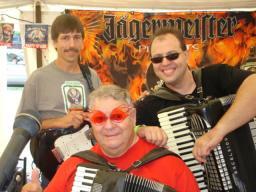 Some of the guys in FPB tip some Jager with some new friends in Chittenango, NY on October 13th. 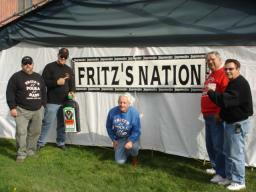 The Retro Rocker, The Fritzafraniac, The Truck Driving Man, The Highmarket Prince, and Mr. Thunder are shown here outside the party tent on October 13th in Chittenango, NY. 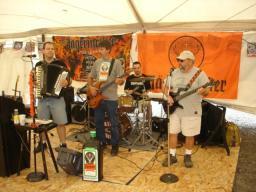 FPB rips through a tune on October 13th at the Tri Valley Ski Club Oktoberfest in Chittenango, NY. 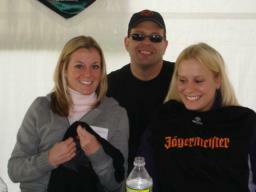 Fritz proudly presents some Jager shirts to Ashley (L) and Jen Jen (R) at the Tri Valley Ski Club Oktoberfest in Chittenango, NY on October 13, 2007. 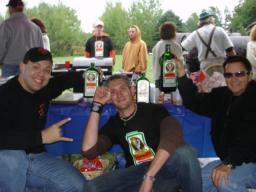 Frank, Fred, and Fritz are "havin' fun" at the Franklin Hotel Oktoberfest on October 7, 2007. 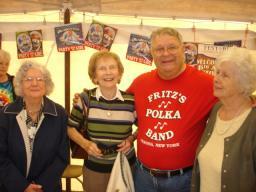 As Fred's wife, Nancy, looks on from behind, he proudly poses with his sisters (L-R), Marie, Alice, and Margaret, on October 7th at the Franklin Hotel Oktoberfest. 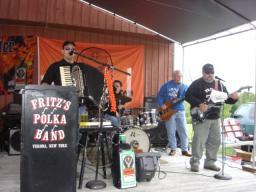 Fritz, Frank, Rick, and Gabe are shown here during FPB's gig in Rome, NY on October 7th. 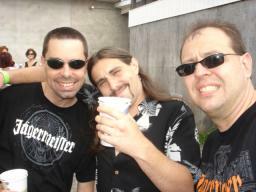 Rick and Fritz are pictured here with new FPB fan, Daniel, during FPB's gig at the Franklin Hotel Oktoberfest on October 7th. 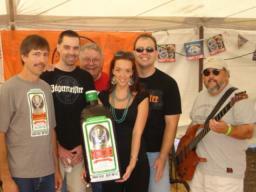 The guys in FPB happily pose with Jessica, during FPB's gig at the Franklin Hotel Oktoberfest in Rome, NY on October 7, 2007. Fritz presents a Jagermeister shirt to the always beautiful, Jessica, prior to the start of FPB's first set at the Franklin Hotel Oktoberfest on October 7th.